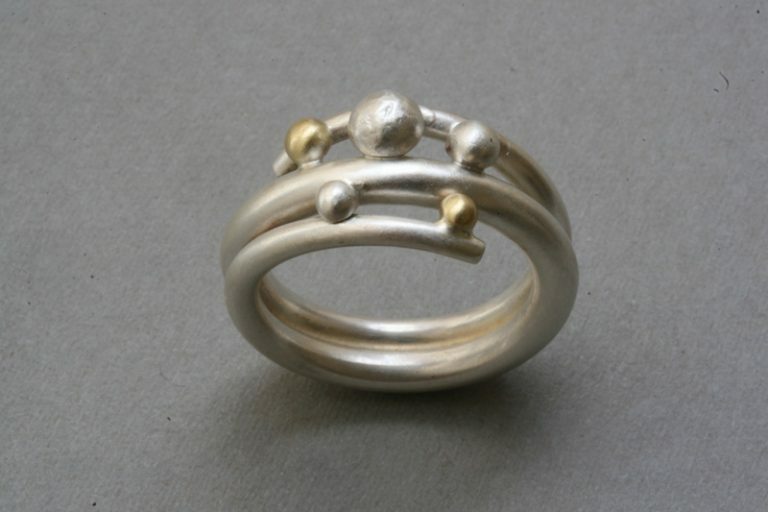 Handmade sterling silver coil ring with beads. Polished silver 3mm diameter band with tapered ends. Polished silver and 18k yellow gold beads.